Halkidiki offers picturesque seascapes, historical cities, and fragrant gardens – a landscape that beckons you to come in. It possesses a beauty that only nature can create. 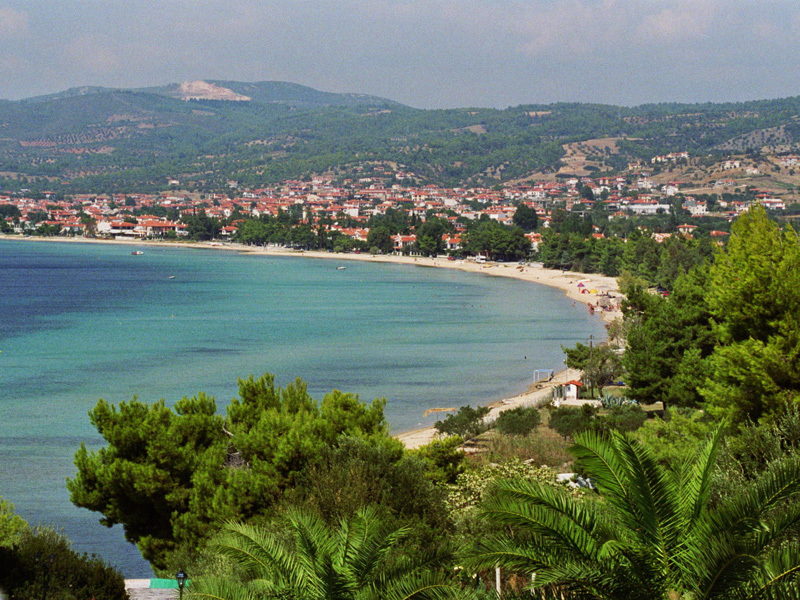 Halkidiki peninsula lies south of Thessalonica. With her three fingers reaching out into the sea represents one of most beautiful vacation destinations of Greece. A combination of green and blue with long stretching vineyards, peaceful pine forests on rolling hills, long sandy beaches and behind rocky cliffs hidden small bays with almost Caribbean blue-green waters. Everybody finds here his own personal paradise – there is something for everyone: from the active vacation seeker and the nature friend to the culture lover. Sithonia The middle finger, the untouched beauty, is especially recommended for those who love Greece and nature. Lush green landscapes, peaceful fishing villages, isolated bays and the hospitality of the village inhabitants will help you make your vacation tranquil and restful away from the any busy urban areas.